Get it and keep it. 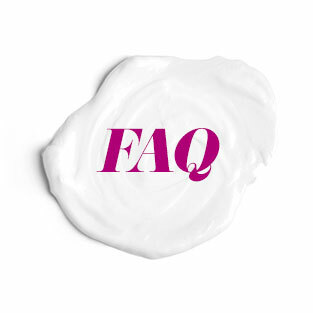 It’s true that Differin® Gel can radically decrease your acne. But, there are other things you can do every day to take charge of your overall skin health. Feel good, look good. Take care of your whole self and your skin will benefit. Yeah, we know — easier said than done. But, stress can have a serious effect on your skin. When you’re stressed out, your body produces higher levels of androgen, a hormone that stimulates the secretion of an oily, waxy substance called sebum. 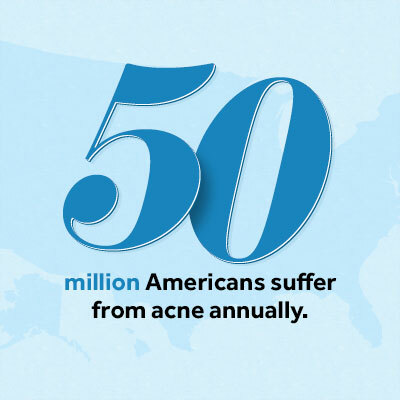 Too much sebum can lead to excess P. acnes, which puts you at a higher risk for acne. Take a walk, try deep-breathing exercises, meditate, do some yoga — anything you can do to add a little more chill to your life will benefit your whole self, skin and all. Scrutinize your hair and beauty products. The products you use could be contributing to your blocked pores, making your face an acne hotbed. Try using non-comedogenic (won’t clog pores) products, and make sure your facial cleanser is powerful enough to wash away any excess oils, but gentle enough not to strip your skin of its natural ones. 3 Sunscreen, shade, hats, whatever. 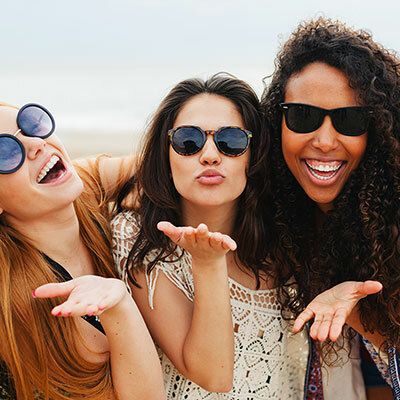 It’s no secret that exposure to UV rays can cause serious damage to your skin, from premature aging to cancer. However, the sun also promotes your body’s production of vitamin D, which helps cell growth, reduces inflammation, boosts your immune system and strengthens bones. Don’t ignore your makeup brushes. Regularly cleaning your makeup brushes will help reduce bacteria and other unwanted pore-clogging gunk. Put a little water in a bowl (lukewarm — hot could damage the bristles) with a small drop of shampoo and gently swirl and massage the brush until it’s clean. Squeeze out excess moisture, pat it with a towel and let it sit out until it’s fully dry. So, yeah. Sleep is important, especially when it comes to dealing with skin issues. When talking about acne, red is not typically a positive. So let’s talk about wine. Red wine has antioxidants called polyphenols, which can reduce inflammation and benefit the aging process. Bonus: That glass a day can also help reduce stress (see Tip 1). Cheers to that. 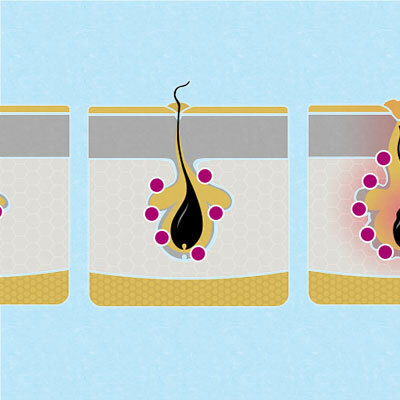 When your skin is thirsty, it can feel gross and look scaly. Make sure you have a non-comedogenic moisturizer — like Differin Soothing Moisturizer — to keep your skin hydrated without clogging your pores. It’s best to moisturize as soon as you get out of the shower or bath, but moisturizing throughout the day is a good idea. Also, stay away from skincare products that contain harsh chemicals that can quickly dry out your skin. 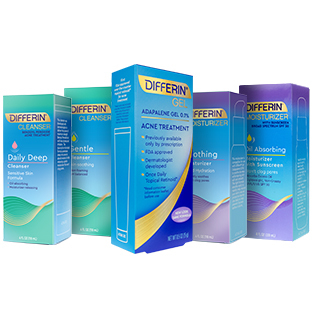 Differin Gentle Cleanser, for example, is soap-free and gentle on the skin. Winter months can be especially damaging to skin, so take extra precautions when the weather turns cold and windy. Sorry. It’s true. There’s no evidence that suggests a particular diet causes acne, but hormone-rich foods like milk may be linked to it. We’re not saying swear off cheese altogether, but watching the amount of dairy in your diet could lower your risk of breakouts. Think of everything you touch in a typical day. Now think about rubbing your face on all those things. Gross, right? Even with frequent hand washing, touching your face could expose your delicate pores to all sorts of dirt and grime that could clog them. One more thing about touching — and this can’t be stressed enough — no picking! Picking your face or popping pimples can cause unsightly scabs and permanent scarring. It’s your face. Be nice.